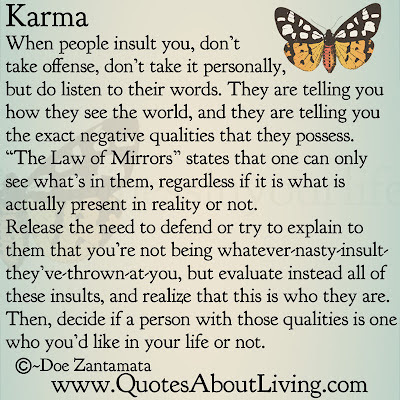 When people insult you, don’t take offense, don’t take it personally, but do listen to their words. They are telling you how they see the world, and they are telling you the exact negative qualities that they possess. “The Law of Mirrors” states that one can only see what’s in them, regardless if it is what is actually present in reality or not. Release the need to defend or try to explain to them that you’re not being whatever-nasty-insult-they’ve-thrown-at-you, but evaluate instead all of these insults, and realize that this is who they are. Then, decide if a person with those qualities is one who you’d like in your life or not. 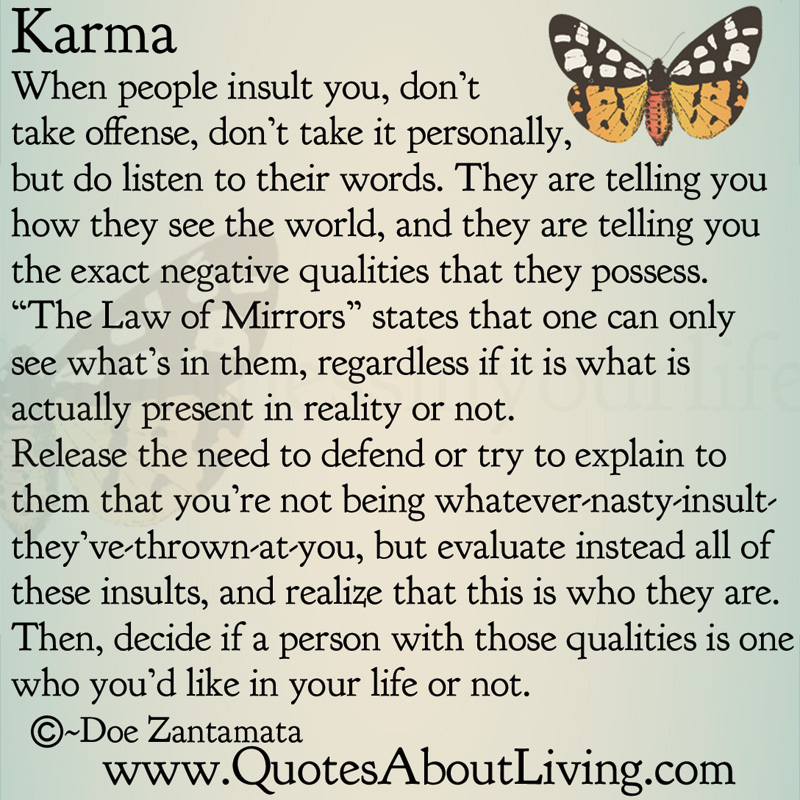 From: "Happiness in Your Life - Book One: Karma" by Doe Zantamata. Now available on Amazon.com in eBook and Paperback.